Pregnancy Archives | How Do You Do It? Thank you to all who read, commented, liked, and shared our review of Twinspiration, the fabulous new edition by Cheryl Lage! Twinspiration is a fantastic resource for expecting and new MoMs (and Double Daddies)! Cheryl will be in touch with you directly to get your contact information. And I hope you enjoy this book as much as I did! And please continue to share the word about Twinspiration! What a blessing it is for the multiples community! Twinspiration: Book Review and GIVEAWAY! When I heard that my friend Cheryl was publishing a new edition of her book Twinspiration, I was giddy at the opportunity to review it. See, Cheryl is not (yet!) my friend in real life, but she’s become an amazing virtual friend since my twin girls were born almost eight years ago. I started following Cheryl’s blog when my girls were infants. At the time, Cheryl’s boy/girl twins were in early elementary school, and I looked up to Cheryl as a twin mama blogger. The mix of advice and antics she wrote about gave me hope that I, too, would get through the dual dirty diapers and not-enough-hands angst that was my life at that time. My twin girls are long past the diaper phase, and I have come to reckon with not having enough hands. Still, I so enjoyed reading Twinspiration. Years past the infant and toddler stages, I found myself nodding my head in agreement with Cheryl, alternately chuckling, “Ain’t that the truth!” and “I sure wish I’d known this ahead of time!” and finding myself misty-eyed, remembering some of the trying times and the fleeting stages. I thought so many, many times, “Where was this book when I was expecting my girls?? ?” I had several books on pregnancy, and one specifically on multiples, but nothing quite seemed to hit the spot that this book does. Twinspiration provides a wealth of knowledge on what to expect, specific to a twin pregnancy and twin infant- and toddler-hood. It’s written from the perspective of a MoM who’s been there, of course, but it’s not just an account of Cheryl’s personal experiences. Certainly Cheryl writes about her dynamic duo, which grounds the book in real-life experience and practical advice. But it’s more than that. Cheryl shares different perspectives, too, informing the reader that things don’t always play out by the book. 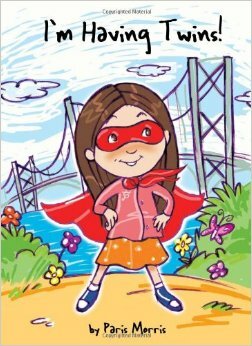 There are also tidbits interspersed throughout the book from a pediatrician’s perspective. What I love is that the book doesn’t attempt to present The Singular Answer, but rather it offers a range of possible scenarios. 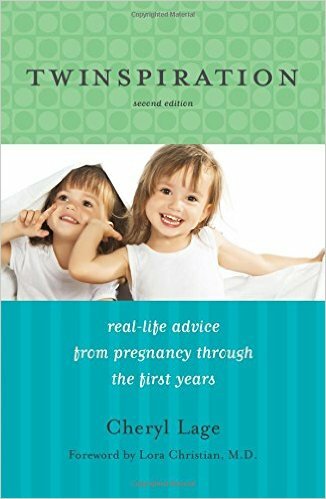 As a prospective/new parent, I feel like this book would have equipped me with the knowledge to ask the right questions specific to my particular situation. And what a treasure that would have been! And as an added bonus, there are snippets of insight from Cheryl’s husband, affectionately dubbed “The Double Daddy Perspective”. I know my husband would have appreciated hearing the spouse’s take on some of the twinfant stages. Even now, eight years later, I had to share some of Double Daddy’s accounts with my hubby…it made for a fun conversation for us both, remembering things from Hubby’s point of view. Twinspiration. It’s engaging…it’s captivating…it’s a plethora of knowledge and experience. And best? It’s such a warm read, like sitting down for a cup of coffee and hearing the tales from someone who has been there…really been there…and can smile a big, warm, welcoming smile as she tells her tale. At How Do You Do It, we rarely do giveaways. But Cheryl is one of our own. She’s such an ardent supporter of the twin community, and she’s generously offered to give away THREE SIGNED COPIES of her new book to How Do You Do It readers!!! 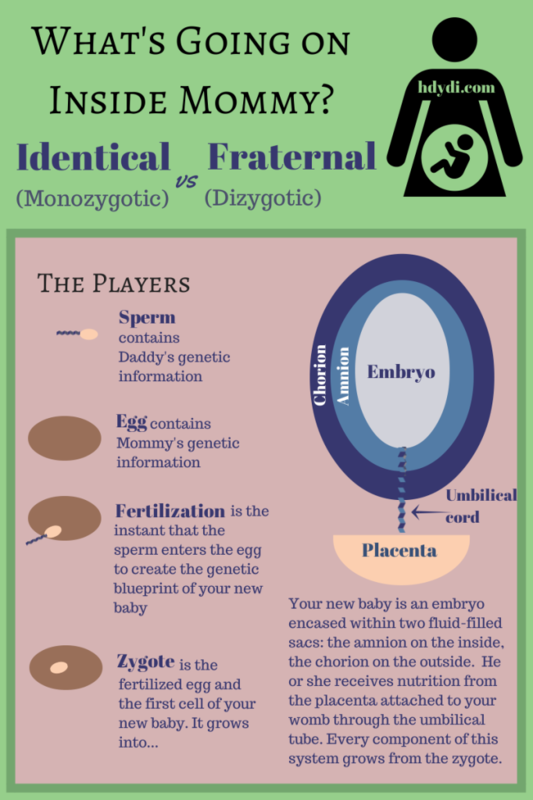 Are you expecting twins (or more)? Have a friend who would appreciate the support? Want to add a copy to your MoMs’ group library? Or just want to reminisce about those mommy milestones? Enter to win a copy! To enter, simply leave a comment or a question on this blog post. (Cheryl would love to hear from you!) For extra entries, visit Cheryl’s Facebook page, Twinfatuation, or visit How Do You Do It’s Facebook page! If you like what you see, follow us. This giveaway will run through November 16, 2016. Please help us spread the word! MandyE here. Cheryl provided a copy of Twinspiration for me to read. And I loved it. The views I expressed here are my own. I joyfully recommend Twinspiration to any of my MoM and soon-to-be MoM friends! I am now in my third trimester expecting a single baby, 4 ½ years after having fraternal twins. This time around, the pregnancy feels very different from when I was expecting the twins. In many ways, it’s simpler (less doctors’ visits) and in other ways, it’s more uncomfortable (feeling as big as when there were two in there). One of the biggest differences are the comments and questions I’m getting from complete strangers. It reminds me of the comments we would get once the twins were born! With the twin pregnancy, I didn’t get nearly as many questions or remarks, probably because I was not out and about as much as I am now. They say with the second pregnancy you show quicker and get heavier. Even more so after having twins because, according to my doctor, the ligaments are stretched out from the twin pregnancy and the centre of gravity changes. Hence I started waddling much earlier than before. And given my petite frame, my ballooning belly sends the signal to everyone that I must be at, or very close to the due date. With the twins, I was off work shortly after 24 weeks. This time, I’m still waddling around the office at 30 weeks. I can’t count the number of times people in my workplace (mostly women outside of my organization who don’t even know my name) have asked me questions or shown sympathy. One time, it was a lady in the washroom. It took three of my colleagues to reassure me afterwards that I would be fine and not to listen to others. Five minutes later, I had the same conversation with a stranger in the elevator. Next time I go to the bathroom or get into an elevator, I won’t mention my actual due date, or better yet, won’t make eye contact. I’m allowed to act grumpy, right? What were some of the experiences that stood out for you during pregnancy? We had returned from the hospital after receiving the most incredible news. In approximately six months’ time we were going to become the parents of twins! I was going to be a Mummy to four children!! We felt overwhelmed, excited, nervous, scared, and curious! I think I felt every emotion possible that afternoon. Was labour going to hurt? Was I going to get fat? Seven years later as a pregnant mother of two children my concerns and worries could not have been more different. In addition to the health and wellbeing of my unborn babies, at the forefront of my mind were my two children and who was going to care for them when I was in hospital giving birth to our twins. I knew at that point that carrying twins meant that I was at increased chance of having a C-section. For me, that would mean a longer recovery time and the need to make extra arrangements for them. Arranging the care of our older two children was our priority and it was something that we began to plan for more or less straight away. These are my top tips for putting a plan into place for childcare during childbirth. We made a list of everyone who we could call on for help with the children if we needed too! At the top of our list were our parents. They would have been our first choice, but it just so happened that my in-laws were taking a holiday when the babies were born. My Mum works full time so was unable to take sole responsibility. We filled our list with Aunties, Uncles and Godparents. We are lucky to have such a big family and support network, but as soon as we announced the news we were pregnant with multiples we were inundated with offers of help from friends and extended family members. We could have filled our list ten times over. The morning I was due to be induced with the babies, we had everything figured out. The children knew exactly where they were staying, who was collecting them from school and nursery, who was driving them to their out of school clubs. I was happy, relaxed, and confident and ready to meet the two newest members of our family. But I wasn’t induced on that day! They didn’t have enough room or enough staff in the hospital to perform a safe deliver. I didn’t end up giving birth until the following day! Be prepared for every eventuality. Make sure your children and the people who are caring for them are aware that everything might not go to plan. I was due to be induced so I had an idea of when I was going to have my babies. 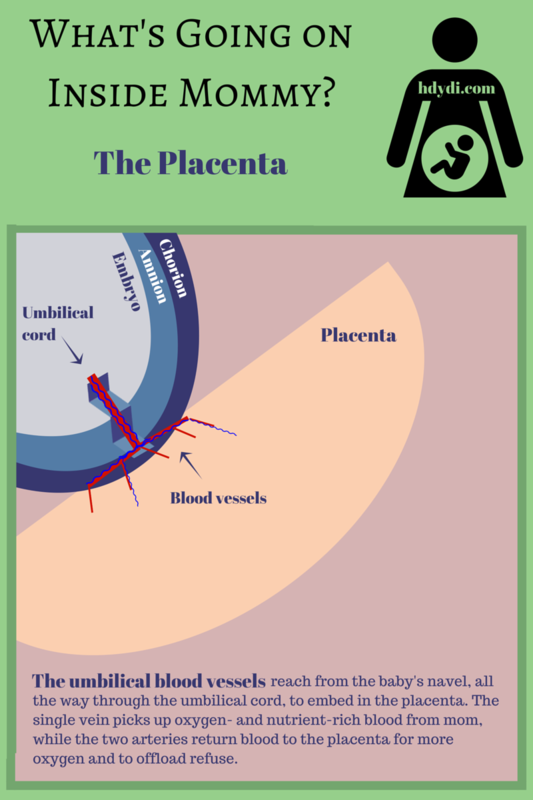 Still, being pregnant with twins puts you at increased risk of premature delivery. The timing of your babies’ births could be very unpredictable. I was lucky to get to nearly 38 weeks with my babies but many Mums of Multiples don’t make it that far. Having someone on the end of the phone that you could call upon at short notice or a neighbour who lives close by would be ideal. Our daughter’s nursery was fantastic around the time the twins were born. She was able to do extra days at short notice and we were able to collect her later during my pregnancy when appointments at the hospital ran over. My son’s school showed the same support and helpfulness. After the babies were born, the sincere offers of help we received from school were a great comfort. Knowing they were there if we needed them was priceless, especially through those first few tricky weeks. The chances of having a normal delivery compared to having a C-section with twins is around 50/50. Even if, like me, you plan to have a normal delivery, making arrangements for someone else to do the school run and help out with your older children for at least six weeks following the birth is a necessity. I was lucky. I got to have the birth I wanted and was fit to drive and do the school run not long after. Still, my husband had previously rearranged all his working hours for those first six weeks to make sure he was on hand to do school runs and chauffeur our little ones to after school clubs. We had lots of offers from our children’s friends’ parents, who were eager to help us out with school transportation. Sometimes even now I will get someone to come and sit with the babies whilst I quickly dash out to collect our little boy. Anything that makes life easier is a good thing!! Having made a plan for the care of our children, I felt content and happy with knowing who was going to look after them. My other biggest concern was how my little boy and girl were feeling about the arrival of their new siblings. Our little girl had limited knowledge of what was going on. She knew that mummy had a big belly and there were two babies living in there. I knew that their arrival was probably going to affect her just as much as much as our little boy, if not more. I couldn’t talk through her worries or her concerns about the situation as she didn’t fully understand. We read a book called I’m Having Twins by Paris Morris. It’s a book that tells the story of a family having twins from the perspective of the little girl. It’s a book I would definitely recommend. Both our children enjoyed it. It is aimed at children a little older than our then nearly-two-year-old but our daughter still loves the story 10 months after her twins’ birth! 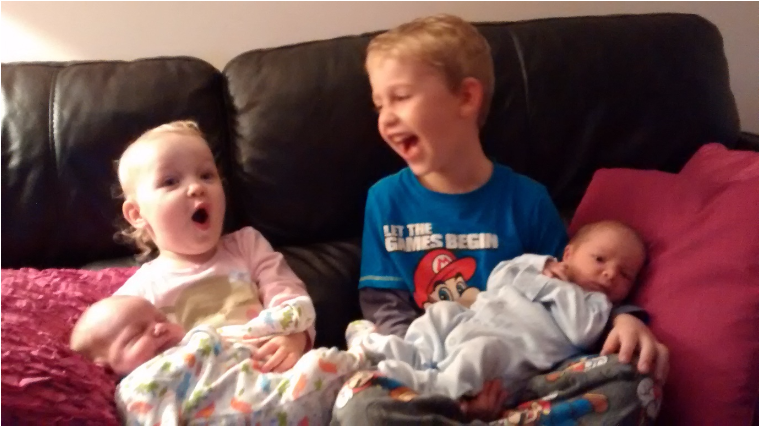 Our little boy was initially really excited for the arrival of the twins but as my due day approached he expressed concern about how our life would continue as before. We were open and honest with him and explained that life was going to change, but in a positive way. Children are extremely resilient in the face of change. Although we are always advised of this, as parents we can’t help but worry about the impact that huge life events are going to have on our little ones. As a parent who has already been through this, I can assure you that when your twin babies do arrive, your older children will adapt and they will take all the changes that there new siblings bring in their stride. In fact, less than 24 hours after the babies’ homecoming our eldest two children were more concerned with planning a trip to the park. We’re ten months on from the birth of our babies. It’s very hard to imagine our life before. Our little girl, I’m sure, does not remember life before and our little boy is the most wonderful big brother. He absolutely adores his siblings and for a child that’s gone from been an only child to having three siblings in less than two years, his attitude and resilience to change is remarkable. As for all the worrying I did, it was completely unnecessary. If I could give one piece of advice to every expectant mother, it would be to try not to worry. The children you already have will exhibit strength, resilience, and an ability to adapt to situations that really will have you beaming with pride. Maybe you’ll feel, as I do, as much pride in them as you have in yourself for giving birth to multiples! Please stop by their blogs and welcome these MoMs- and DoMs-to-be to the wonderful world of multiple parenting! 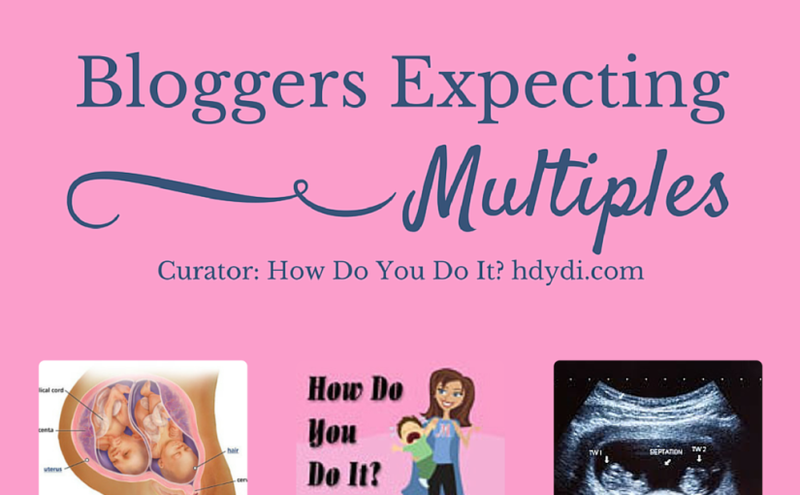 We all know how exciting, yet frightening, expecting multiples can be. View more lists from How Do You Do It? 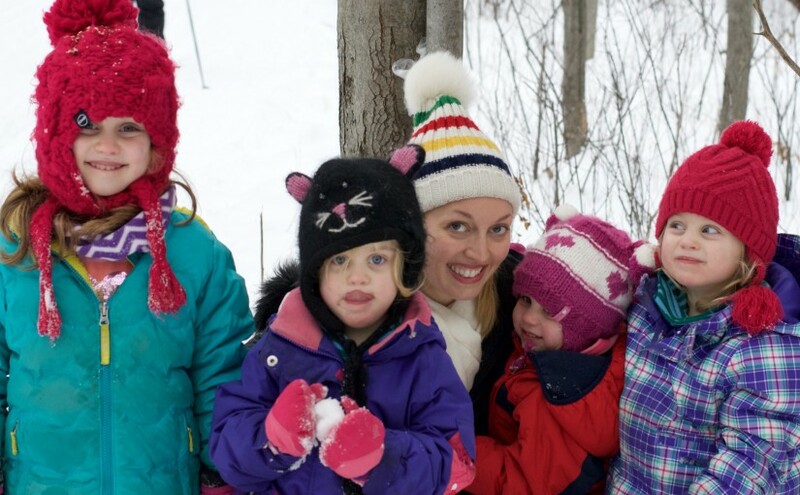 Colleen C shares her triplet birth story with the How Do You Do It? community. 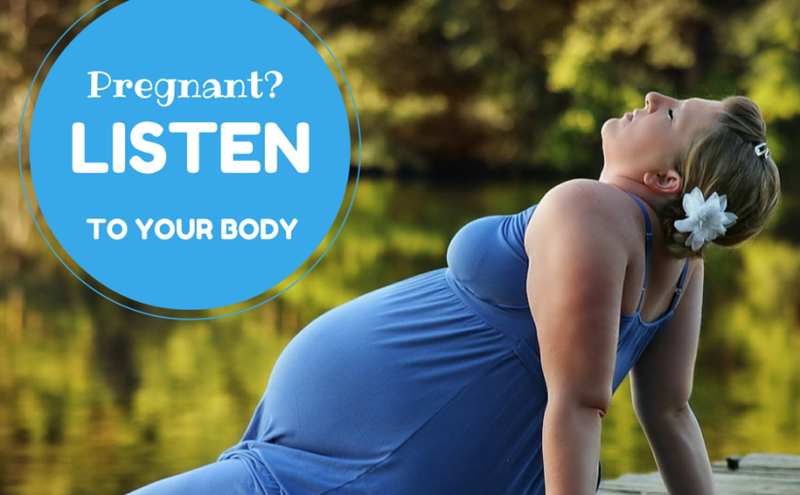 She’d like to remind expectant mothers of multiples to listen to their bodies. I was scheduled for a C-section at 38 weeks, but only made it to 34 weeks with my triplets. Here’s the thing. 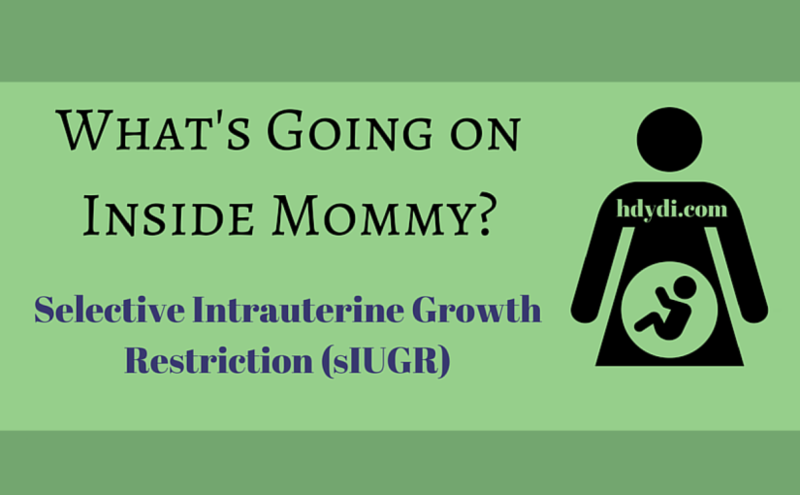 I was so used to feeling huge and uncomfortable that I completely missed all the signs of labor for hours! I’d spent the day, as usual, running around after my 8 year-old daughter. I’d gone to a PTA meeting, done the grocery shopping, and taken care of all the business that comes with having a school-age child. I dismissed the growing aches I felt as a sign that I was just overdoing it a bit. At dinner time, my (then) husband looked at me and said, “Um… you don’t look so good. Maybe we should call the doctor?”. I waved him off and said that I was fine, but he said, “No, you really don’t look good!”. He insisted on calling the doctor. I told him to ask if it was OK for me to take a Tylenol. We got someone to watch our daughter, grabbed a suitcase and headed out from our Jersey suburb to our hospital in NYC, promptly getting stuck in a huge traffic jam. By this time, the labor pains had started ramping up, and we were starting to panic that the babies were going to come in the middle of the New Jersey Turnpike. We eventually made it through, and when we arrived at the hospital, my doctor was already there—delivering another set of triplets! They prepped me to go as soon as the first mother was finished. It all turned out well, and the two of us new moms were next to each other in the recovery room, chatting away while they attended to all of our new babies. The lesson: LISTEN TO YOUR BODY! The best-laid plans of doctors and modern medicine often change because Mother Nature has her own schedule. Don’t run around trying to be Wonder Woman, taking care of everyone else. Take care of yourself and your babies first. I wish that I’d paid closer attention. I would have gotten myself to the hospital hours sooner, instead of endangering myself and my babies. I would have been a lot less stressed if I’d taken the time to hear what my body was telling me. Good luck to you, and God bless! As if we needed any proof that our multiples are miracles, National Geographic has a wonderful documentary about the life of multiples in utero. See 4D ultrasound of siblings interacting before they’re even born. The In the Womb series also includes a video entirely about identical twins in the womb, which we just loved. Do be aware that there’s a scene in both films with a silhouette of the act of conception that you may want to skip through if you haven’t had The Talk yet. There are also diagrams of male and female anatomy. You may want to watch it all the way through without kids at least once. I’m a preemie mom. I have healthy, happy, smart, opinionated, confident, amazing 8-year-old daughters. 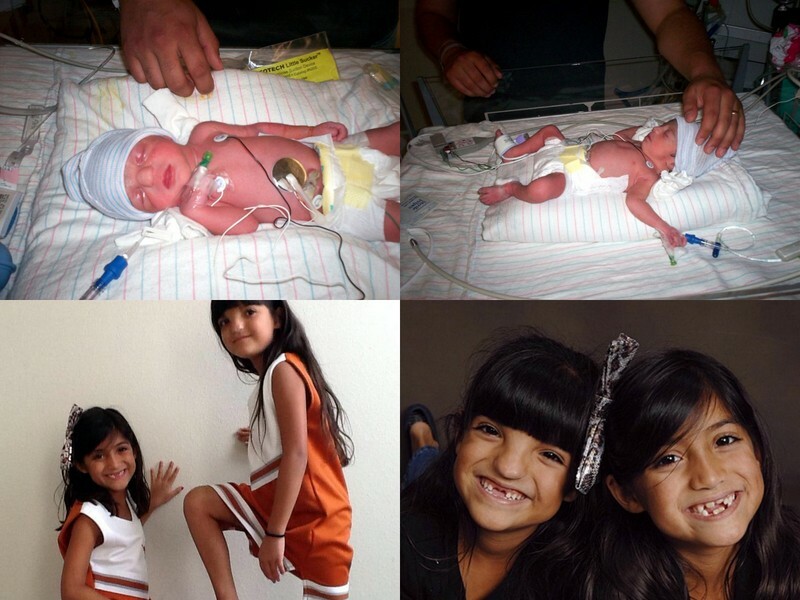 They’ve overcome any challenges thrown their way because of their premature birth. They were incredibly healthy for their gestational age, and they were far from micro-preemies, being born at 33 weeks. And yet, I am and always will be a preemie mom. I have this enormous guilt at not having carried my daughters longer in my womb. I can’t help wondering if I could have given them just a few more days if I were taller or had gained more weight. Perhaps I could have gone on leave from work earlier and rested to prolong the pregnancy. My one job was give them a safe place to grow for 38-42 weeks, and I failed. It’s not rational. I know that my daughters are above average in pretty much every area other than height. I know that 50% of twins are born prematurely, and I certainly wouldn’t give up having the both of them! More time in the womb might not have changed a thing. As my very wise 8-year-old M told me last week, “I am who I am because of everything in my life, including how I was born.” And I admit, I really like who she is. Still, I suffer from what I call full-term envy. There’s a little stab in my chest when I hear about women reaching 34, 35, 36 weeks and farther in their pregnancies. I used to occasionally cry on hearing birth weights in the 6, 7 and 8 lb range. My daughters were only 3 lb 6 oz and 3 lb 9 oz at birth. And yet they’re here and healthy, and I know how fortunate I am. Last week, something extraordinary happened. A dear friend asked me if I had any ideas on how to convince her son to make his way into the world… and full-term envy didn’t raise its ugly head. I felt compassion for her discomfort and shared her readiness to meet her son. I didn’t resent her full-term pregnancy. When I heard his 8 lb 1 oz birth weight a few days ago, I felt nothing but joy and a hunger to meet him and snuggle him and congratulate my friends. I’m not sure why this baby is different. Perhaps it’s because I felt the loss of the miscarriage that came before him. Perhaps it’s because I found out that he would be joining us minutes after his mom learned that she was pregnant. Perhaps it’s because he feels like a brother to my daughters, who already love him as their own. Perhaps it’s because I was there every step of the way, seeing all the ways in which he took over Mommy’s body as he grew. Perhaps it was just knowing that his mom and her husband see my daughters as part of their family. They know M & J’s story, know the odds that they’ve beaten. My friend also knows the micro-preemie down the street, too, the 10-year-old bolt of energy who was born at 24 weeks and whose only long-term impact was on her eyesight. I suspect that in experiencing the full breadth of my friend’s pregnancy as a witness, I healed the wounds from my own pregnancy being cut short. Maybe this little baby has vanquished my full-term envy. What aspect of parenting to you feel envy about?